Exciting news out of Seminole Hard Rock Tampa! A partnership was announced today between the property and Tampa's signature music festival, Gasparilla Music Foundation. Activites will be going on all month including sales of limited edition Gasparilla Music Festival earbuds, a Foundation Benefit, Charity Slot Tournament and a Kickoff Party! All the details are below! 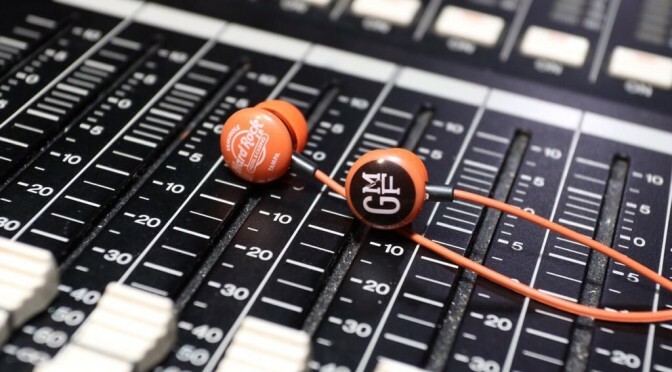 The property will be selling customized limited edition earbuds in its retail shops for $10 with 100 percent of the proceeds generated going to the charity. 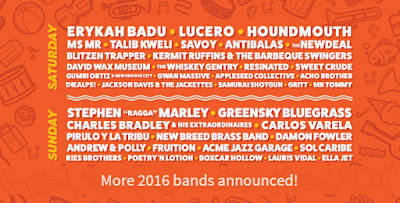 Gasparilla Music Foundation memorabilia will also be on sale generating additional funds for the organization. 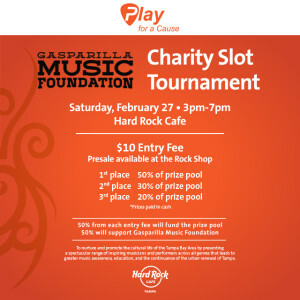 To further support the charity, Hard Rock Cafe will host a FREE Gasparilla Music Foundation Benefit Event on Saturday, February 27, from 3 p.m. to 8 p.m. This event is open to the public and will feature a charity slot tournament, red carpet ceremony, benefit concert and check presentation of funds raised for the month is open to the public. Hard Rock Cafe will be the site for a special Kickoff Party on Friday, March 11, for the Gasparilla Music Festival which is scheduled for March 12-13 in Curtis Hixon Riverfront Park and Kiley Garden Park and will feature musical acts from a wide variety of genres on several stages and cuisine from the region’s top restaurants. During the festival, Seminole Hard Rock Tampa will be the host of the various VIP sections and will also supply various team members to volunteer at the event. 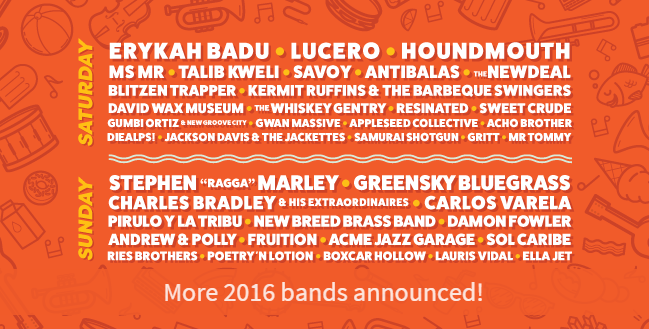 Tickets for the festival can be purchased via www.tickeyfly.com. 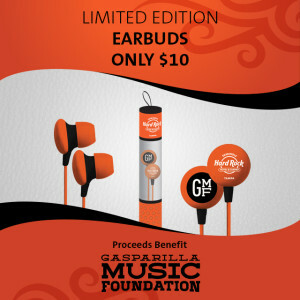 As part of its mission to support and promote music and education, the Gasparilla Music Foundation (which was founded in 2011) is involved in several initiatives throughout the year including providing scholarships and instruments to music students. Four Years of Running Anniversary!